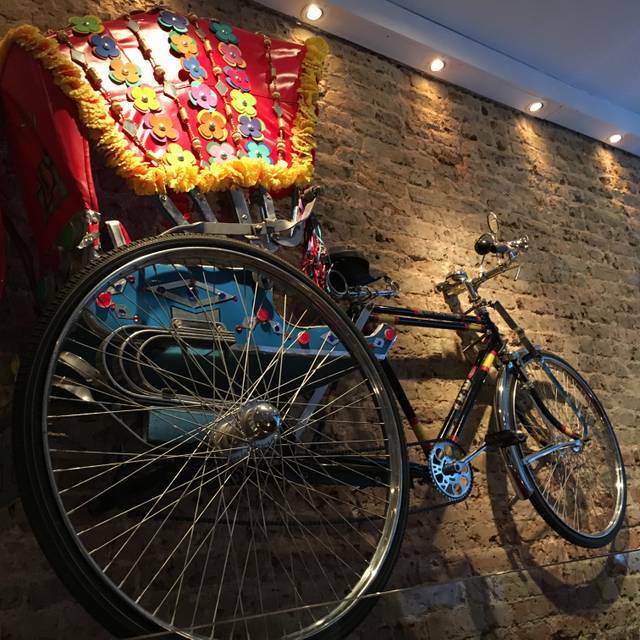 Located on the Old Brompton Road in South Kensington, Thali serves up authentic dishes from throughout India, many with an appealing modern twist. The grazing style restaurant focuses mainly on North Indian cuisine but also showcases curries and tandoori specials. The menus are based on family recipes, handed down through generations, and enhanced by head chef Dila Ram. We love the sound of tandoori wild boar, for example, or snow crab patties with mint, coriander and spices. The thali offers a selection of dishes, as does the tasting menu – both provide a good introduction. 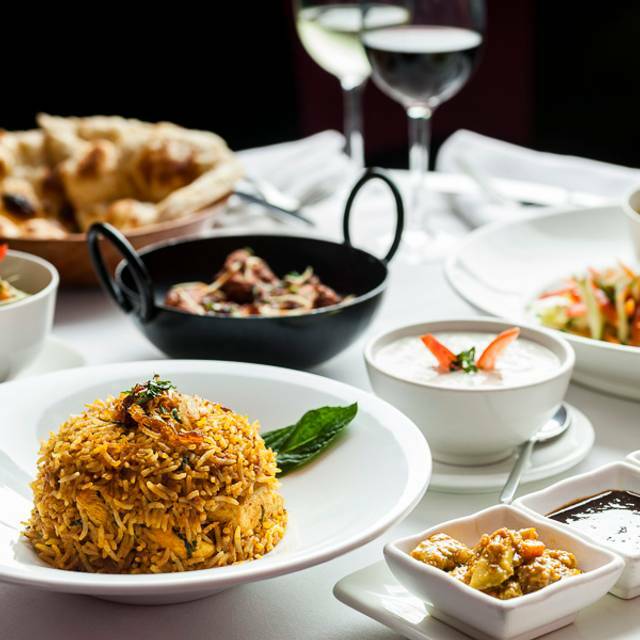 The décor, an interesting mix of cosmopolitan London meets the mystery of the East, ensures Thali attracts a vibrant mix of local foodies and fashionistas. Diners looking for a casual bite are welcomed upstairs to the candlelit restaurant, while the ground floor is reserved for private dining. Check out the extensive wine list, but don’t leave without sampling Thali’s award-winning cocktails! I’ve been a few times now and always a warm welcome and the food very good. I like the Fish curry but the Tikka Masala is also good - go there! My favourite local restaurant! 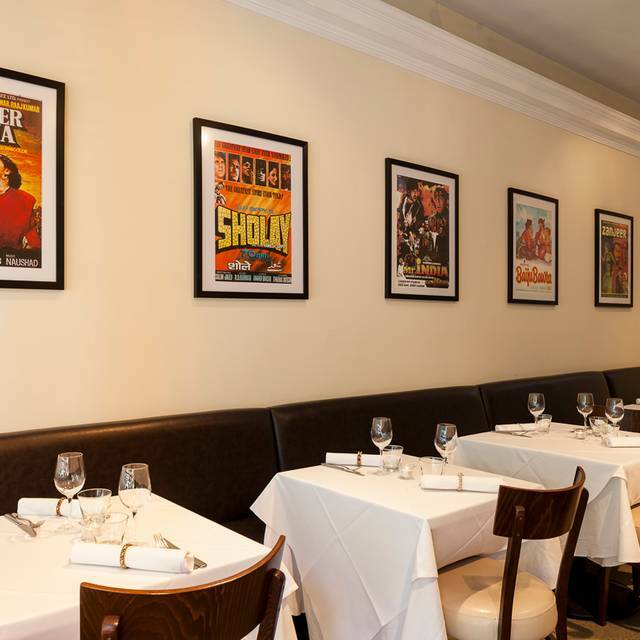 Go for the small plates and don’t miss the palak chaat, lamb chop and baigan ka bartha. This place never fails to deliver. Knocks the other Indians in the neighbourhood out of the park! Absolutely delicious food at a very high quality with nice staff and a great location. Good local Indian restaurant. Authentic food and reasonable prices. 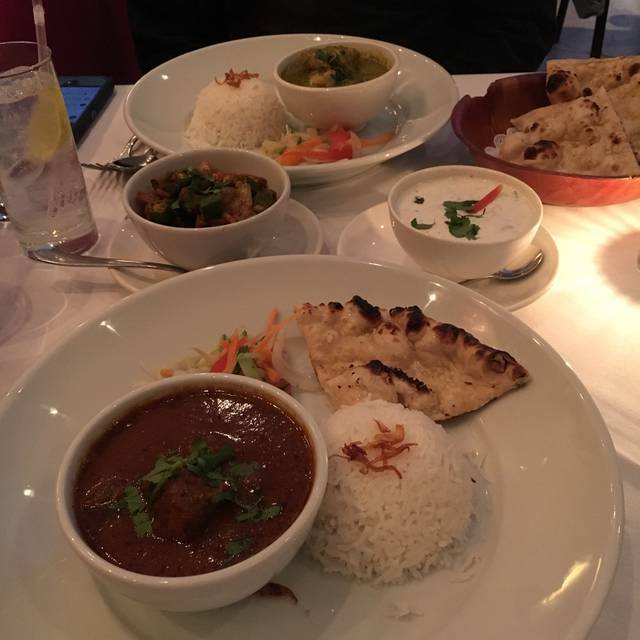 We went to Thali while in London on the recommendation of friends, and weren’t disappointed! They had a broad selection of dishes, and the food was delicious! The service was also excellent. I’d definitely recommend it! I have been here many times. Excellent selection of dishes so a different food experience. Favourites are Tandoori Salmon starter and also Scallop starter. Very good lamb mains. In season the Venison Bhuna is splendid. The Byriani Lamb was really good. I always always drink the Mitchell Peppertree Shiraz! They must have been having an off night as our experience did not match the ratings from others. The food was good, but not outstanding, and the service was pleasant but slow and unattentive, just a good local Indian. Wow. Our meal was excellent -- one of the best Indian meals we've ever had. The service was wonderful as well. Delicious starters and main courses. Not one bad note. This was our last meal in London and it was memorable. Food came almost an hour after we entered, The starters were far too small compared to other Indian restaurants and finally, on giving the change we were not given an itemised bill. I have been to Thali a number of times and I always find the experience to be a good one. This time I tried the Tandoori Salmon starter which was very tasty. Mains included Chokandar Gohst andLamb Rogan Josh which were both very good. Gaarlic Naan was delicious. Paid the extra for a decent wine. The food derserves it! When visiting London I always try to have an Indian meal at least once and happened on Thali because i was staying in the neighborhood and it was recommended. I have to say it was the finest Indian meal i've had and so good that I returned the next night to enjoy the place one more time. My waiter was very helpful, provided useful and very satisfying recommendations. Overall a great spot. Excellent food and service. High quality. Great popadoms & chutneys, which is generally an indicator as to the overall quality of the restaurant. We will definitely be back! First class! enjoyed our (First) experience of Thali. Food good but starter portions, for the price, were a bit on the small side. Mains were tasty and well presented. Overall it was a pleasant experience and would go back again! The service was SUPER slow and disorganised. The food was very good, but everything took ages to arrive. We all were starving....deserts were mediocre. I would recommend Thali for the quality of their food, but will also advise to eat something before you go there, as even having some popadoms will take 30min to arrive. I have visited Thali a number of times in the last few weeks and that's not because there are a lack of alterantives in Chelsea if you want Indian cuisine. There are in fact plenty. Thali above any other consideration is about the excellent and tasteful food they serve here, reasonably priced, which is consistently of a very high quality indeed. The restaurant is best described as cosy, possibly because invariably it is always full and in that regard it is better to book in advance rather than simply turn up, particularly for Dinner towards the weekend or at the weekend. The staff are friendly and polite, and there is a happy vibe to the place ! The food was one of the best Indian food my partner and I have ever had! Service was great, the location was convenient off the tube stop. Overall, simply loved our choice! Extensive starters menu and small main course menu, would benefit from the restaurant engaging more with the customers and perhaps suggesting two started instead of a main and talk about the thali's more. Has potential. Also felt the main courses were all same sauce didn't matter what you ordered.... which might explain the small main course menu. The food is always good, one of the best curries however when you want Desi style it's difficult to get them to cook you the adequate flavour and spice. Service is however very poor. They made us wait at the front of the restaurant standing for ages and started off by giving us a table either by the door, with a huge draft or bit the toilets. In the end, after a lot of discussions, we got a good table. Great food! It's the 2nd time to go to Thali for dinner and it never dissapoints! Absolutely fantastic Thalis. If you like spicy, try the Fish Thali. Do reserve. Very popular. The food was average and very expensive for the portion size, and also compared to other good Indians. However the real problem was that we ordered perhaps 15 items between 4 people, and were not served a single one of them for the first hour! They took ages to do anything we asked them to do, like clearing the table and the bill. When the bill finally did come it had a cheeky service charge on top, whereas we had clearly expressed our dissatisfaction with the service we were provided with. Not recommended, especially when London is full of much better indian food with much faster service! Good food, not big portions, service à bit too slow. Great selection of food and worked out good for our family visit. We were able to try a number of different dishes and the service was excellent. Unfortunately, we were there during a heatwave and the restaurant did not have air-conditioning. The food is amazing and just the right amount of spice. We will definitely go back. Thali is a cut above the average Indian, with some innovative dishes and attentative service. Everything is freshly prepared and the flavours are subtle and unusual. Prices are a bit higher than the other Indian restaurants in the area, but one gets what one pays for and does not feel "ripped off". Food relatively uneven with delicious naan and fish, and highly dissapointing raita and lassi. Service not particularly warm but not rude either. I really love this place, food is amazing, the service is perfect, good wine menu. I've been there 4 times now and it is always perfect ! I've been here many times as it is so close to me. My family and I usually take our guests here when we go out. The food is amazing and the service is even better. 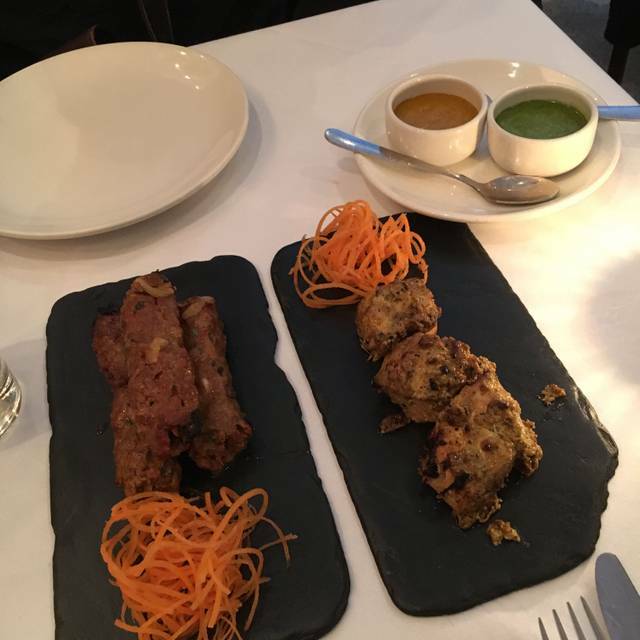 It is not just your typical indian restaurant but they take every aspect and make sure to perfect it and we are always very pleased when we dine there! I am a regular here and love it. 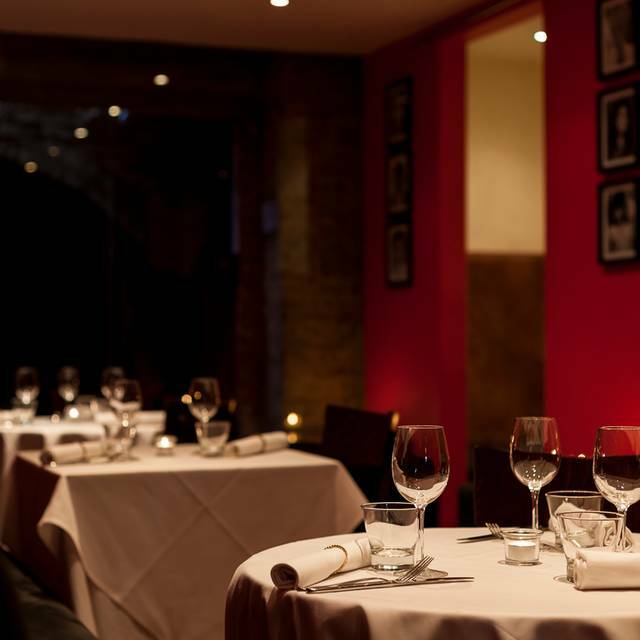 Fantastic small plates, don't miss the palak chaat and lamb chops. Outstanding food and service- this indian restaurant has an amazing menu. This was our second visit to thali and we had the traditional indian (veg) thali. It comes with an amazing array of decent sized portions of food comprising a combination of breads, curries, rice and a dessert portion. Highly recommended.